Be sure to indicate all three scents you want in the drop down boxes below--you will have to click three times below. If you fill out only the first scent name, I will assume you want all three bars the scent you indicate--unless you tell me different in the comments area of the shopping cart! FYI, if the scent you normally order is not on the list, it may just be out of stock...or I may have it and forgot to put it back on the list! Just shoot me an email, text or pick up the phone! 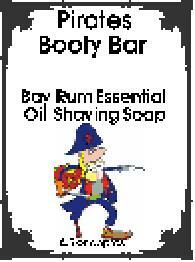 Pirates Booty Bar, our shaving mug round and Simply Shea 100% Natural Soaps are available below! They are not part of the "3 for..." deal! Shipping Note: The emailed receipt you receive right after you place your order has an estimate of shipping. The amount of shipping you are charged is what the post office charges us--there is never a handling fee hidden in the cost. If you order nine bars or less, the estimate is pretty close. If you order soap and other products, the estimate is low. NOTE: as of January 2019, the shipping price for three to nine bars is $7.35. other words, treat this soap like it was a newborn baby! below: Olive, organic and sustainable Palm, Coconut, Castor and Shea Butter. have a lead time of up to 6 weeks--patience is required. Multiples of three bars only please! 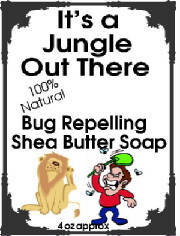 Scroll to the bottom of this page for our 100% Shea Butter Soap, and Shaving Rounds. Oh, and if you are looking for those cute little guest soaps I sometimes have at shows, please go to the Giftbags and Basket Stuffers page for the scents available! 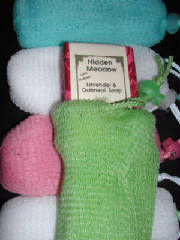 Click here for more information, pictures, descriptions and reviews of all the soaps. Then come back to this page to order! Click here to view a comparison of my soap versus some brands like Dove and Ivory. Grapefruit, Orange, Tangerine, Lemon & Lime 100% Natural "Citrus Splash"
Lavender Oatmeal Facial 100% Natural "Hidden Meadow"
**Tied** Sandalwood Vanilla "Satin Sheets"
**Tied** Lemongrass Scrubby 100% Natural "Green Thumb"
Lilac Goatmilk "Flower of my Youth"
Black Raspberry Vanilla Goatmilk "Razzle Matazzle"
Lavender Patchouli & Vanilla "Sweet Earth"
Sage Lemon & Lavender 100% Natural "Clarity"
Gardenia Goatmilk "Dowm the Garden Path"
Click here for prior quarters Best Sellers. You asked for it, you got it! This soap is THE luxury for those of you looking for mild, skin loving soap. Like the olive oil castile soap, it is very low lathering and very mild. Honestly to me, there is NO lather--so if you love lather, you may want to pass on this one. There is no scent or color to aggravate sensitivities. For most people, my regular line of shea butter soaps will give you all the moisture you will ever need plus great lather. If you are looking for something different, check out this special bar of soap. I make this in small batches and leave the lumpy bumpy top on them so you get a bigger bar of soap, but, it is more rustic looking! This is the bar for your favorite pooch, especially the ones that get into the stinky, dirty, yucky stuff around your property. It leaves the coat nice and soft and contains several essential oils which will help repel biting insects. It will not replace your current flea, heartworm or tick medicines! The pine tar serves as a natural inflammation reliever--so if your dog get hot spots, you can expect to see relief from the biting and licking. 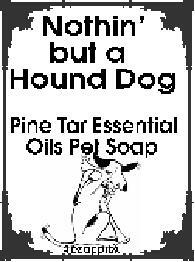 I am not currently stocking the Pine Tar Pet Soap. BUT, if you want to be added to the wait list for the next batch, please click the button below and be sure to change the number of bars in the shopping cart if you want more than one. Then, be sure to hit "Recalculate" to update the cart!! You will not be charged for this soap until it is ready to ship. Oh, and this bar is part of the mix or match 3 for $12 deal or it will be $5 for a single bar. Available now! Use the drop down box above to order! 4.0 oz. 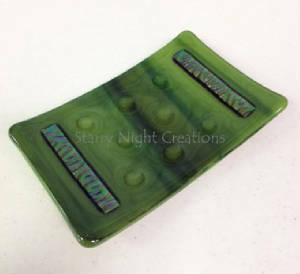 $5.00 single bar (or $4 a bar if part of a multi-bar soap deal). Do you spend a lot of time outdoors and have problems with biting insects? My family does too! One of us attracks every mosquito in a 20 mile radius unless she wears 100% deet, the other hardly ever has a bite. So, my answer was to search for a more natural remedy than the strong deet bug sprays I had been buying. The answer for us was a combo of Lemon Eucalyptus and Citronella, with several other essential oils thrown in to help repel those annoying flying pests! It has cut my problem substantially, but, I do still need to spray. Others, get by just fine using just this soap. You will be somewhere in this spectrum! Available now! Use the drop down box above to order! 4.0 oz. $5.00 single bar (or $4 a bar if part of a multi-bar soap deal). Scent may vary from what is shown in the picture! This round shaving soap is 100% natural and is fit for a king! With lanolin and bentonite clay which helps the razor "slip" over your skin. 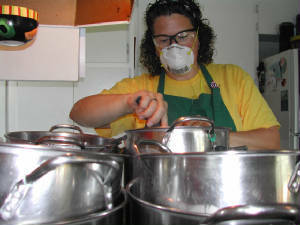 The soap may be used anywhere on the body. It fits most shaving mugs too! If it doesn't fit, just use a potato peeler to round it off to the size of your mug and throw the shavings in on top! Enjoy our 100% Natural BayRum essential oil blend in the shaving round. I don't have a regular source for these...yet...but I love them so much I thought I better put them up on the website. You know the material the bath puffs are made from, right? These bags are made from several layers of the same material with a little drawstring cord and closer. Hang them from a hook in your shower. 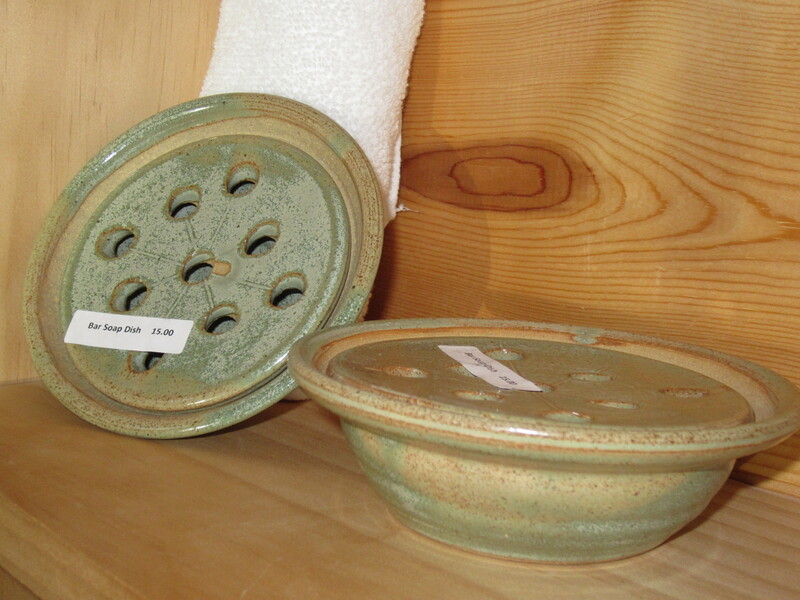 You can use them for all your little slivers of expensive handmade soap, or, just put a whole bar in them. They will exfoliate, they lather up wonderfully and then they rinse off completely. The best thing is that the soap inside dries completely!!! 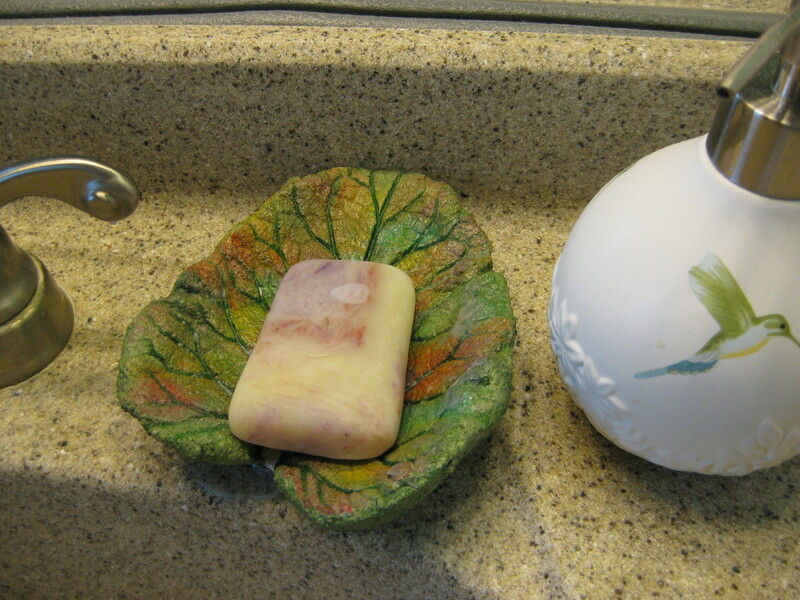 Jerry's leaves are great for soap because all those veins drain down to the stem, so, your soap remains high and dry. The colors are fantastic and go with most any decor. The vanity pictured is in my Mom's house and you can see a slight contour in the vanity--so the excess water drains right into the basin. My vanity does not have a lip on it, so, I prop the outer edge up with some adhesive felt pieces. Please put your soap scent in the comments area of the shopping cart--or if you forget you can email me, call me or text me at the contact numbers on the bottom of the page.